Thank you to CREW Greater Akron! CREW Greater Akron - Commercial Real Estate Women, an affiliate of the international CREW Network, is dedicated to providing informative programs and seminars, creating meaningful business relationships and opportunities, facilitating local and national networking, supporting community development and fostering professional development and career advancement of its members. Membership in CREW is comprised of industry professionals who work in the Commercial Real Estate space, including construction, brokers, lenders, and architects just to name a few. Each year CREW holds a holiday luncheon in conjunction with BOMA - Building and Office Management Association. Members of CREW nominate non-profits in which they are involved. The slate of nominees is then presented to the membership for a vote. Julie Brandle, CREW President (Rotary Immediate Past President) nominated our Rotary Camp. The Camp won the nomination and received the proceeds of the luncheon, totaling over $5,700. This year's luncheon, was held this past December with both Dan Reynolds and Mella Castner attending on behalf of the Camp. Dan gave a wonderful presentation to tell the Camp story. CREW members will be invited this summer to attend one of our Camp Cookouts to see how their group's donation benefits our Camp. Thank you CREW Greater Akron! 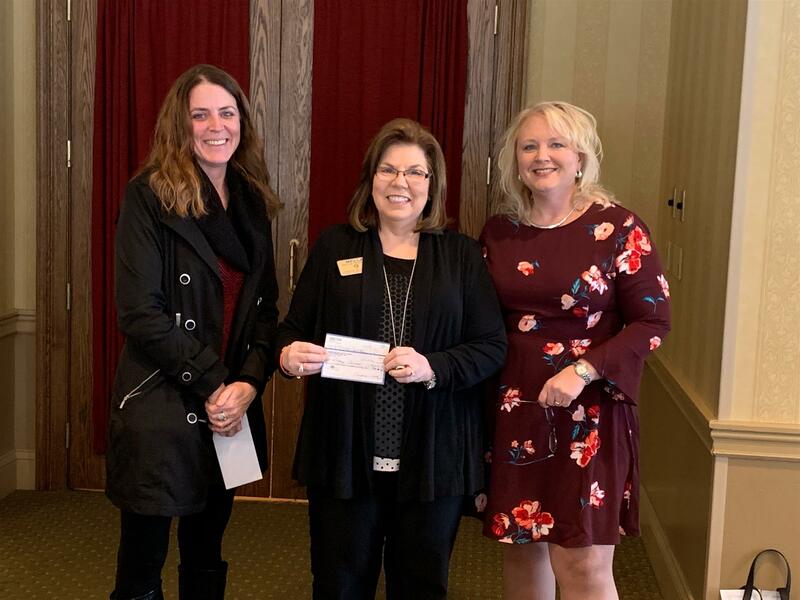 Pictured at check presentation: L to R - Amy Palmer, SJL Management, CREW Holiday Luncheon Chairperson - Mella Castner, Rotary Camp - Julie Brandle, Metis Construction CREW President.